The convergence of narrative in film, video games, and virtual reality will fundamentally change the entertainment industry in coming years. [Interactive Stories and Video Game Art] gives content creators crucial insights into interactive story composition and how to adapt these concepts for transmedia storytelling." 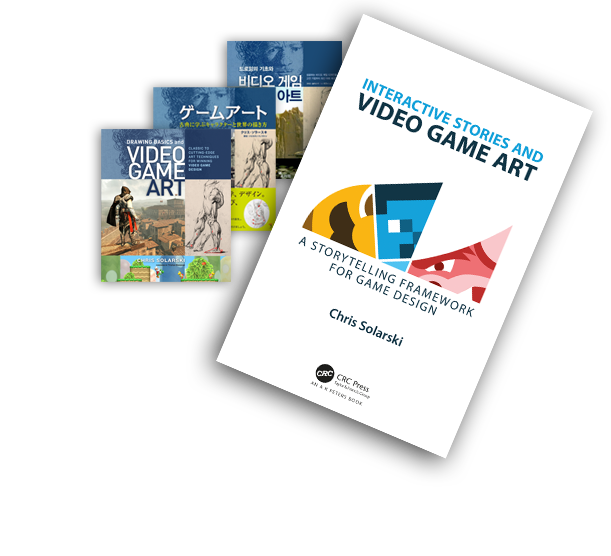 "[Interactive Stories and Video Game Art] is extremely ambitious; from the smallest detail to broad concepts that encompass an immense scale, its truly applied methodology serves as a catalyst that enriches the reader's heart and promotes the creation of pure art."